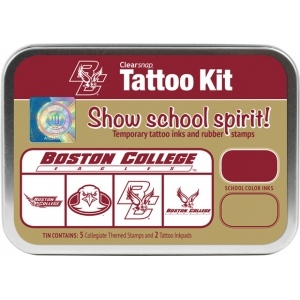 Show school spirit with officially licensed collegiate product! 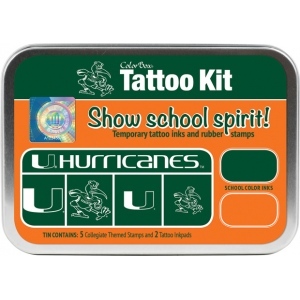 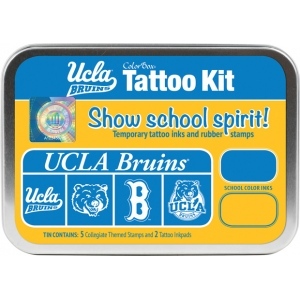 Each tin contains five rubber stamps and two temporary tattoo inkpads themed to match the school's identity. 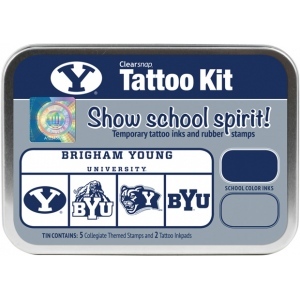 * Overall tin size is approximately 4" x 5 1/2"